Monitored Multi-cortical Activities for Additional Pathways and Synapses, otherwise known as MAPS, programming for autism is a rehabilitation program designed to repair the brain. The theory is that individuals can overcome environmental obstacles in order to correct structural malfunctions that interfere with normal processing. Neuroplasticity is the brain's ability to reorganize neurological pathways to accommodate new information. Every time an individual learns something or has a new experience, the structure of the brain changes to adapt to the new information. The brain changes as it acquires knowledge. During early brain development, the mind creates many neurological pathways as infants learn. The neurons in the brain connect, creating networks. As the individual grows and enters later child development stages, the brain continues to make neuron connections. The structure of the brain compensates as individuals learn throughout their lifetimes. Those who have neurological conditions such as those in the autism spectrum of disorders may have difficulty creating pathways appropriately. Many suggest that individuals diagnosed with pervasive developmental disorders are wired differently than others are. Many interventions including applied behavioral analysis and sensory integration therapy help individuals create new pathways through their learning experience. MAPS is an approach that may work in similar ways, but the proponents for this method claim the interventions work from the inside rather than using an external approach. MAPS interventions are supposed to repair the brain, leading to a cure for autism. The claims include overcoming seizures and helping individuals with cerebral palsy to walk. As the brain is repaired through MAPS programming for autism, stereotyped repetitive movements cease and the individual becomes aware of his environment. In theory, the brain's repair manifests itself in the individual's behavior. 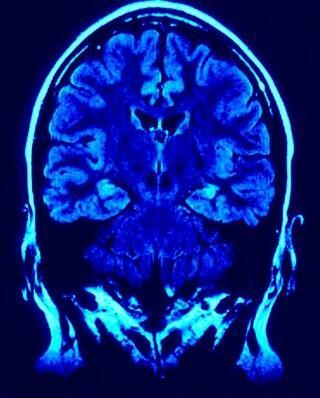 MAPS activities take the assumption that the individual's symptoms are a manifestation of flaws in the brain. Using a stress-free environment, those trained to use the MAPS approach introduce the child to a variety of activities. There are thousands of them, according to the Brain Repair Institute's website. The activities are catered to the individual's specific needs and no two programs are exactly alike, just as no two brains are exactly alike. Activity programs include interventions that can include sensory input. Smells, textures and various sensory sensations are strategically introduced to restructure the brain. The games and activities are supposed to give the individual's mind new experiences that change the brain on a cellular level. The chosen interventions depend on specific goals and objectives outlined by the parents or caregivers. The goals and objectives are measurable so families can easily track progress. Each activity lasts a few minutes since they are merely triggers that set off a pattern of new connections in the brain. The approach works on an operative level, with the introduction of a new experience followed by the brain's natural processing functions. Proponents for MAPS suggest that mental rest is a crucial aspect of the proper implementation of the program. The brain in need of repair requires a significant amount of rest time in order to create the pathways, or "catch up" with the new information. Proponents propose that the rest period is when the program does its most important work. Parents and caregivers are instructed to give individuals in the program between three and five hours of mental rest after each session. Sleep is not necessary during the rest stage. The basic principal is to interact with the individual without an agenda or desired outcome. Those who support MAPS recognize that the program does not fit in the mainstream. Many professionals in the field of treating autism spectrum disorders do not hold the same beliefs about brain repair. The mainstream interventions work to create new neurological pathways through experience and trials but they are not design to cure or heal the brain. Claudie Gordon-Pomares is the founder of MAPS. She is a brain development researcher who worked exclusively with rats--whose brains are significantly different from human brains. Ms. Gordon-Pamares' seems to have worked in brain research, making the designation neurologist applicable. However, there is no proof of her credentials. She has completed courses in the United States and in France but seems to have earned no degrees. The program costs $5,000 for the initial six months. The program costs an additional $3,000 for each subsequent six-month period that the family follows the plan. The Brain Repair Institute of Canada, run by Claudie Gordon-Pomares, claims a 98% success rate among its clients. There is no scientific proof to back that claim. The Government of Alberta has unlisted the Brain Repair Institute as of April 2003 for failing to produce proof that the treatments actually work. The organization failed to provide the necessary peer-reviewed research necessary to uphold the contract.